My mom strongly believes that, if you live your life doing the right thing and being a good person (being nice and truthful and kind and generally following The Golden Rule), everything will turn out great in the end. You may hit a few bumps in the road along the way. And there may be struggles. But all of those bad things happen for a reason. The eventual positive outcome will always outweigh any negative stuff you had to endure on the journey. Perhaps this outlook is a common single-mom survival mechanism, because her attitude and optimism are very similar to those of Jess, the protagonist in Jojo Moyes’ new book, One Plus One. Jess is a down-on-her luck single mom who works two crappy jobs. She cleans rich, obnoxious people’s houses by day and is a barmaid (this is England, after all) at a local pub by night. Her life is hard and it isn’t fair . . . but Jess believes unwaveringly in the importance of doing the right thing and being a good person despite all the hardships. Her deadbeat husband, Marty, left two years ago to go live with his mom and get over his “depression” after his last get-rich-quick scheme failed miserably. Jess is left taking care of two kids (and Norman, a huge, flatulent mutt) on her own with no financial support. Tanzie is their precocious and sweet math-whiz daughter who loves sequins and is being courted by great private schools that they simply can’t afford. Nicky, Marty’s son from a previous relationship, is quiet and gothy and gets beaten up by the neighborhood bullies so badly that it lands him in the hospital. Enter Ed, a down-on-his-luck, rich IT guy. Jess cleans his beach house, which is rarely used. Ed recently divorced his Italian-model ex-wife and then inadvertently got caught up in an insider-trading scandal. Stupid Ed. “Three pounds fifty a week,” said Jess. Oh, Ed! So clueless, so insensitive, so unaware! Good thing Jess and family are there to straighten out his silly misconceptions. But what will happen to Jess and the kids? Will they be OK? Will Tanzie be able to pursue all of her maths dreams? Will the bullies leave Nicky alone? Will Jess be able to support the kids and find love and happiness? Fret not, dear readers! Even though times are tough, Jess is like my mom. She has always believed in (and has ingrained in her kids) the power of positive thinking. Yes, Jess and the kids will make mistakes and their beliefs will be tested . . . but we all know how this is going to turn out in the end. Moyes is nothing if not consistent (and prolific). I have read three of her books, and they all follow a pretty strict chick-lit formula (which I mentioned previously here): a strong female protagonist finds herself in an against-the-odds romance that is complicated by moral struggles. That formula clearly works for Moyes. As I write this, she is #36 on Amazon’s list of the 100 most popular authors (the list is updated hourly, so I am sure that number will have changed by the time this is posted). Moyes faltered a little bit with her last book, The Girl You Left Behind . It was a little too trite and sappy, and the split chronology wasn’t very successful. But she’s back on track with One Plus One . Yes, her plots are cheesy and saccharine and predictable . . . but the formula works for her here in much the same way it worked in Me Before You . The pages turn quickly, the characters are likeable and easy to root for, and the message (although not particularly profound) is a good one. This isn’t, obviously, fine literature. You’re not going to walk away from it feeling like your life has been changed, your eyes have been opened, or all of life’s big questions have been answered. It’s not as deep as it wants to be. But it’s sweet and it’s positive. It’s fluff, plain and simple. And it’s not bad fluff. Who should read it: Mom (i.e., people who are strong believers in The Golden Rule and the power of positive thinking and who love sweet, fluffy chick lit); fans of Me Before You (I mean, it’s virtually the same book with different characters). 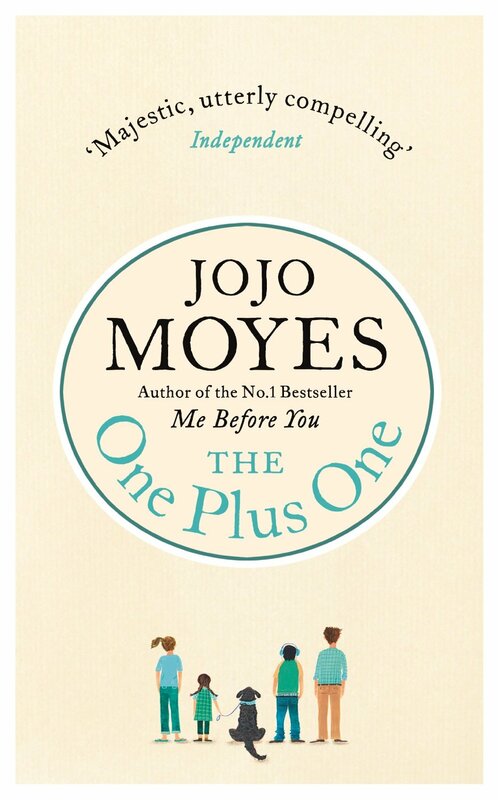 This entry was posted in Rating: 3/5 and tagged Book review, Book Reviews, Books, Jojo Moyes, Me Before You, One Plus One. Bookmark the permalink. Great review! You’ve told me everything I needed to know. Thank you!! Ah, yes. If you are a sucker for the sap, then this is right up your alley. Enjoy!! I need a good “lighter” (i.e. not overly literary) read every now and then. 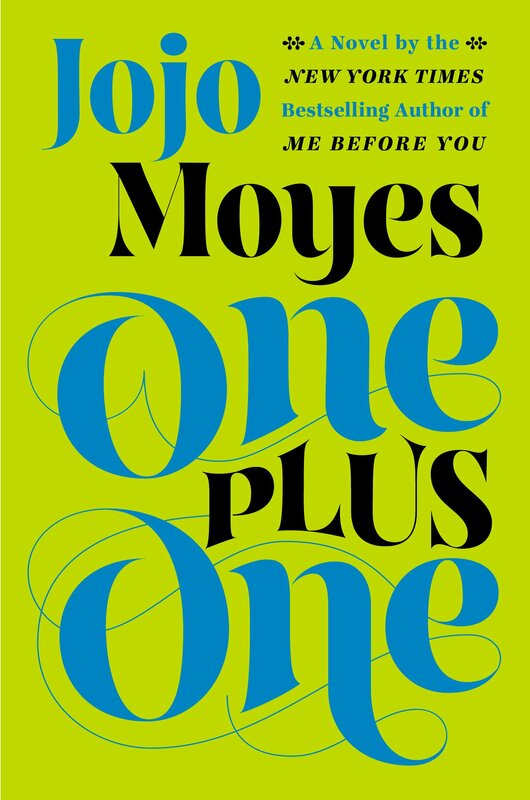 I enjoyed Me Before You and thought Moyes wrote a sweet, though a bit sad and thankfully unconventional, love story. I will read One Plus One given your review. Thanks! I do, too! Thankfully, One Plus One isn’t as sad as Me Before You (which had me bawling!). Let me know your thoughts after you’ve read it! Hi Christi, I just tore through One Plus One yesterday and enjoyed it quite a bit. I rate it 3/5 just as you did and largely agree with your assessment regarding Moyes’ formula (protagonist in moral dilemma, saved by knight, happy ending). Even though formulaic, it was an entertaining read and I felt invested in finding out the outcomes for this little family. The only thing that irritated me about the book was how much Jess defended her scoundrel husband and how late in the novel it took for her to realize what he really was. I understand it was meant to highlight the dramatic change in Jess towards her ex, but would it kill anyone if these authors made stronger female figures in their romance novels? I agree with you whole-heartedly. Funny: in my review of The Girl You Left Behind, I characterized Moyes’ formula as including “seemingly strong female protagonists.” I left that one important word out of this review, but it certainly still fits. Moyes tries to portray her leading ladies as independent, tough, and solid . . . but they always have an air of old-fashioned helplessness and naiveté about them (which, of course, is compounded by the whole white-knight aspect of her formula).